Cool! 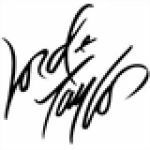 Save an average of 20% on Lord & Taylor with 10 Coupon Codes, and 41 Deals! Lord & Taylor is a chain of department stores targeting fashion conscious customers with their ladies fashion apparel and accessories. Lord and Taylor became known as the first store to employ uniformed female elevator operators in the late 1950's. Reviews suggest that consumers are happy with the wide range of merchandise and latest styles available. Details: Save an extra 15% on regular & sale priced items + get free shipping when you spend $99 or more! Offer valid through 3/10/14. Details: Shop the Art of Spring Event and save an extra 20% on all clearance items + shipping is free when you spend $99 or more! Offer valid through 3/10/14. Details: Get an extra 20% off all sale & clearance! Offer valid through 1/15/14. Details: Receive 15% Off Regular & Sale Items (10% off Home Department) or 20% Off with Lord & Taylor Card + Free Shipping on Orders of $99 or more through 4/30/13. Details & Exclusions: Shop the Friends & Family Sale and Save and Extra 25% Off Regular & Sale Items! Offer valid through 12/19/13. Some exclusions apply. Exclusions: FRIENDS excludes: LIMITED DAY SPECIALS, FAST & FAB, SMART VALUE ITEMS This LORD & TAYLOR Promo Code excludes: Allen Edmonds, Aquatalia, Brahmin, Coach, Ecco, FitFlop, Frye, Hunter, Johnston & Murphy, Longines, Marc by Marc Jacobs shoes, Men’s Cole Haan, Merrell, Michele, Missoni, Movado, Rachel Roy, Sebastian, St. John, Stuart Weitzman, Tag Heuer, TKEES, Ugg, Under Armour, Vera Wang & WLXT pre-owned Rolex®; special event promotions in Fine Jewelry; charity-related merchandise; gift cards. Cannot be combined with any other offer. Bonus savings % applied to reduced prices. This Promo Code must be entered at checkout at time of purchase to receive Promo Code discount. Details: Save up to $198 on Already Reduced Cashmere Sweaters. Limited time only. No promo code needed. Details: FREE Orlane 5 piece gift set with any $300+ Orlane purchase. Details: Get Free .33 fl. oz. JOY Eau de Parfum purse spray with any large spray from the Jean Patou fragrance collection. Details: Free Shipping on cosmetic or fragrance orders of $49 or more. Limited time only. No promo code needed. Details: Get FREE Prada Candy Shower Gel with large Prada Candy fragrance spray purchase. 1 per customer; while supplies last. Details: FREE Cosmetics Case with any large LAUNDRY BY SHELLI SEGAL fragrance purchase. 1 per customer; while supplies last. Details: Get Free messenger bag with any 3.4 fl oz Eau de Toilette Spray from the Original Penguin men's fragrance collection. Details & Exclusions: Save 20% on all regular, sale & clearance priced items + get an extra 10% off when you use your L&T card. Offer valid through 1/22/14. Exclusions apply. Exclusions: Promotion excludes: ALL SPECIALS, FAST & FAB and SMART VALUE ITEMS. This LORD & TAYLOR Promo Code also Excludes: REGULAR PRICE ITEMS from Alex & Ani, Allen Edmonds, Aquatalia, B Brian Atwood, BCBG/BCBGMaxAzria, Brahmin, Charles Philip, Coach, Delman, Dooney & Bourke, Eileen Fisher, FitFlop, Folli Follie, Frye, Gentle Souls, Hanky Panky, Hudson, Hunter, Joe’s Jeans, Johnston & Murphy, Jonathan Adler, Kate Spade, Lacoste sportswear, Lafayette 148, Lauren/Polo/Ralph Lauren, Marc by Marc Jacobs shoes, Merrell, Michael Kors Collection, Michael Michael Kors shoes, jewelry & handbags, Michael Kors Jewelry, Marc by Marc Jacobs, Missoni, NYDJ, Paige Denim, Rachel Roy shoes, Rachel Zoe, Sebastian, Seven for all Mankind, Sorel, Spanx, St. John, Stuart Weitzman, Theory, TKEES, Ugg, Under Armour, Wacoal & Vera Wang; men’s Bruun & Stengade, Buffalo, Bugatti, Cole Haan shoes, Diesel, Ecco, Fred Perry, Grayers, all Hugo Boss, John Varvatos USA, Marc New York Outerwear, Pure, Strellson, Ted Baker, Tommy Bahama, Victorinox, Vince Camuto & premium denim; kids’ Guess, Polo Ralph Lauren & boys’ dresswear. SALE & CLEARANCE ITEMS from Alex & Ani, Allen Edmonds, Aquatalia, B Brian Atwood, BCBG/BCBGMaxAzria, Boss Hugo Boss, Brahmin, Charles Philip, Coach, Ecco, FitFlop, Folli Follie, Frye, Gentle Souls, Hanky Panky, Hunter, Johnston & Murphy, Kate Spade, Lacoste sportswear, Marc by Marc Jacobs shoes, Michael Kors Collection, Michael Kors Jewelry, Marc by Marc Jacobs, Merrell, Missoni, NYDJ, Rachel Roy shoes, Rachel Zoe, Sebastian, Sorel, Spanx, St. John, Stuart Weitzman, Theory, TKEES, Tommy Bahama, Ugg, Under Armour & Wacoal; men’s Bruun & Stengade, Buffalo, Bugatti, Cole Haan shoes, Diesel, Ecco, Fred Perry, Grayers, all Hugo Boss, John Varvatos USA, Marc New York Outerwear, Pure, Strellson, Ted Baker, Tommy Bahama, Victorinox, Vince Camuto & premium denim; kids’ Guess, Polo Ralph Lauren & boys’ dresswear. DEPARTMENTS: Women’s cashmere; cosmetics, fragrances and beauty accessories; fashion watches; luggage; Lord & Taylor Home excludes Kate Spade New York; Fine Watches, designer jewelry and special event promotions in Fine Jewelry; charity-related merchandise; candy, gourmet; gift cards. Cannot be combined with any other Promo Code. Not valid on Limited-Day Specials, selected special sale events or prior purchases. Bonus savings % applied to reduced prices. This Promo Code must be entered at checkout at time of purchase to receive Promo Code discount. Details: Get an Extra 20% Off sale and clearance items! Ends 1/1/13. Details: FREE New York Yankees Body spray with any large NY Yankees fragrance purchase. 1 per customer; while supplies last. Details: FREE Valentina pouch with large Valentino fragrance purchase. While supplies last. Details: FREE Vince Camuto tote with the purchase of any large Vince Camuto spray. Details: Get Free 3.4 oz Hair and Body Wash with your JOHN VARVATOS U.S.A. Star fragrance purchase of $70+. 1 per customer. While supplies last. Details: FREE Honey pouch with a purchase of a large Marc Jacobs Honey fragrance. Details: Get Free Couture is Love wristlet and parfum sample with any Juicy Couture fragrance purchase of $89+. 1 per customer. While supplies last. Details: FREE Oscar De La Renta Live In Love Body Powder Puff with any Live in Love large spray. Shipped via standard ground delivery only. Details: FREE Calvin Klein October Beauty Bow Tote with any cosmetics or fragrance purchase of $125+. 1 per customer; while supplies last. Details: FREE AQVA Toniq Microfiber Towel with any BVLGARI Mens Fragrance purchase of $77+. 1 per customer; while supplies last. Online only. Details: Get a Free gift with large men's Prada fragrance spray. 1 per customer. While supplies last. Details: FREE Invigorating Face Scrub for Men with any 2 or more Lab Series skincare products. Details: FREE CHROME Signature Watch with any $68 CHROME by Azzaro fragrance purchase. Details: FREE cosmetics pouch with any large PRADA fragrance purchase. 1 per customer; while supplies last. Details: FREE Lanvin Eclat dArpege Mini with purchase of a 3.4 Eclat dArpege Eau de Parfum. 1 per customer; while supplies last. Details: FREE gift with large Adam Levine spray. 1 per customer; while supplies last. Details: FREE Lacoste duffle bag with the purchase of any large Lacoste spray. Details: FREE Ellie Saab body cream with the purchase of a large Ellie Saab fragrance spray. 1 per customer; while supplies last. Details: FREE Donna Karan tote with any large Donna Karan fragrance purchase; while supplies last. Details: Extra 25% off womens spring cashmere sweaters. Details: Free Shipping on online orders of $99 or more + Check out our new arrivals. Expires on 03/05/2014.